Keeping up on fashion is no easy task. But, fortunately, there are lots of resources that can be accessed to help the fashion conscious with this. One of these resources is fashion blogs. What Can You Learn from Fashion Blogs? Every fashion blog is slightly different, but they all have a focus on what is important. 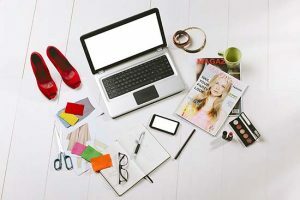 Fashion blogs highlight the importance of detailed online reviews which helps to make the right shopping choices and they should not be overlooked. Although each blog will have its uniqueness, they all have the basic foundation of focusing on what is important in the fashion world. One of the favorite topics of many fashion blogs is to make sure that common mistakes are avoided even if they are considered to be fashion rules. One of the favorite pastimes of those that are into fashion is to be able to do comparisons, and fashion blogs are an easy place to do this. Kayla Seah: Armed with a fashion degree among other things Kayla has taken up residence in Toronto. Although she was previously from New York. To prove her popularity one only has to look at her 200,000+ Instagram followers. Her blog is called ‘Not Your Standard.’ Her focus is on making fashion achievable, which is one of the big drawing features of her fans. She is so highly regarded as a blogger in the fashion industry that she has collaborated with some big names in the industry such as Calvin Klein and Jimmy Choo. Ania B is one of those bloggers that like to share her attention in different locations. Presently time is shared between Calgary and Toronto, as well as LA. Ania first got into fashion blogging during her modeling career. Now she has partnered with Tyler Stalman; added to her fashion passion is travel. Her blog is a mix between style and the wonders of travel. Both seem to complement each other. Fashion Magazine- The blogging section here is one not to be missed. On average there will be about 28 posts per week, all of which have something interesting and intriguing to offer. Both editors and contributors are responsible for the success of this blog. It currently has over 600,000 twitter followers. Flare is a well-recognized name in the fashion media industry. Their blog section supports the credibility of the Flare brand well. Although posts here are not as frequent as some of the others, there are on average about eleven new ones to keep their followers interested. Deepa Berar – Deepa is a great example that not all fashion blogs need to be directly linked with a large brand or a fashion magazine. Deepa is of Indian descent and blogs from Canada. She has a true passion for fashion, and it shows in her blogs. She has an impressive Facebook fan following of over 184,000 fans. Urban Umbrella – A Vancouver based blog that pays close attention to not only world fashion but at home in Vancouver fashion trends. These are just a few of many that are recognized as top fashion blogs.